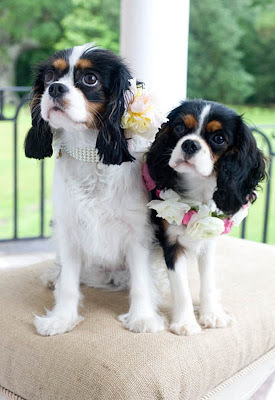 I had to post this photo I found a picture the other day of these Cavalier King Charles Spaniels while surfing blogs. Do not get me wrong I love my beautiful, bone loving, snow eating golden retriever, but these dogs are just cute in that little puppy way. So I thought I would share this photo. I think some day when I am old I will have one of these dogs.